Is this an HDR shot? 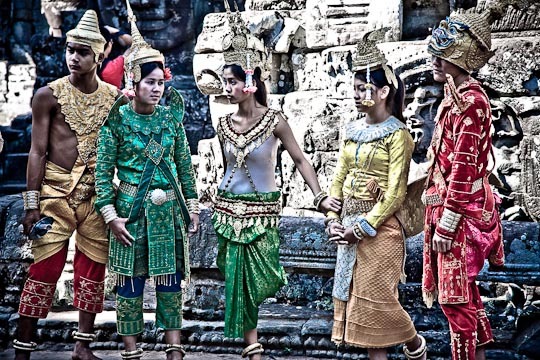 The deeply rooted Cambodian culture clearly shows in the costumes, songs, and dances of their people. It's truly a must-have experience when traveling to Cambodia (http://siemreap.info/traveling-to-siem-reap/). Previous post My blog mentioned in Indonesia’s nationwide newspaper – The Jakarta Globe. Thanks guys!